Uff.. Virat Kohli getting bored of scoring centuries in cricket. Now he is smashing double centuries. 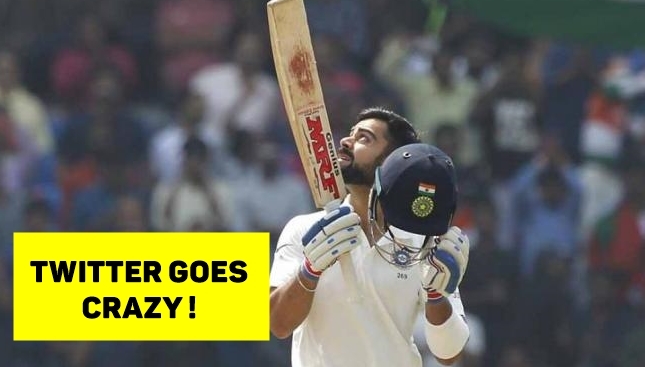 During the third test against Sri Lanka, The Indian skipper Virat Kohli scored his 6th double century in test cricket. Virat Kohli scored his 6th double century in International cricket. He did not score a single double century till 2016. Since 2016, he has scored six double centuries. With this double century, he equaled Sachin Tendulkar and Virender Sehwag’s 6 double centuries record and this is the fastest 200 for him. He becomes the 2nd Indian player to score two consecutive double centuries in Test cricket after former Indian player Vinod Kambli. As a captain he surpassed legendary captains like Don Bradman, Ricky Ponting, Michael Clarke, Graeme Smith to score 6 double centuries. Till 2016, Virat Kohli didn't have a single double century. Now he has six. Shows you that great players make a good phase really count. For all those belittling Virat Kohli's Double hundreds vs SL being against a weak attacks.. why aren't the Rahanes and Rahuls too scoring them then? A classy batsman makes hay while the sun shines… the rest can continue to whine!